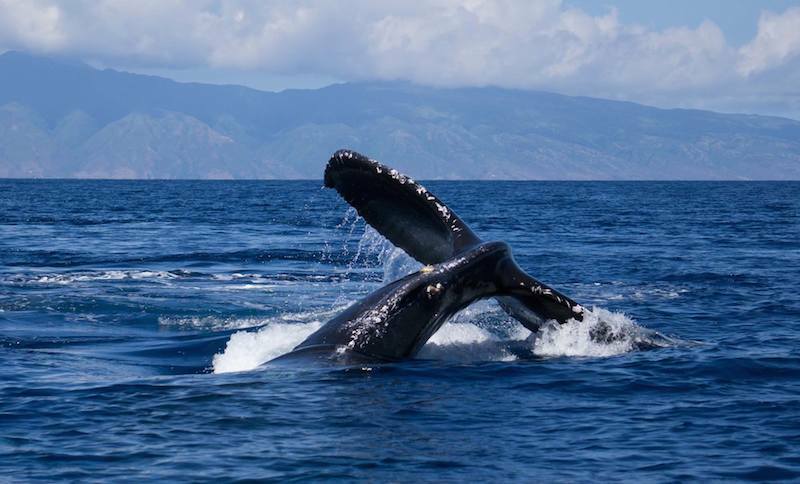 We are not supposed to come too close to the Humpback Whales on Maui. However, sometimes they are the ones who come close to us, and all we can say is “oh, hello!” and try to snap some photos as quickly as we can. 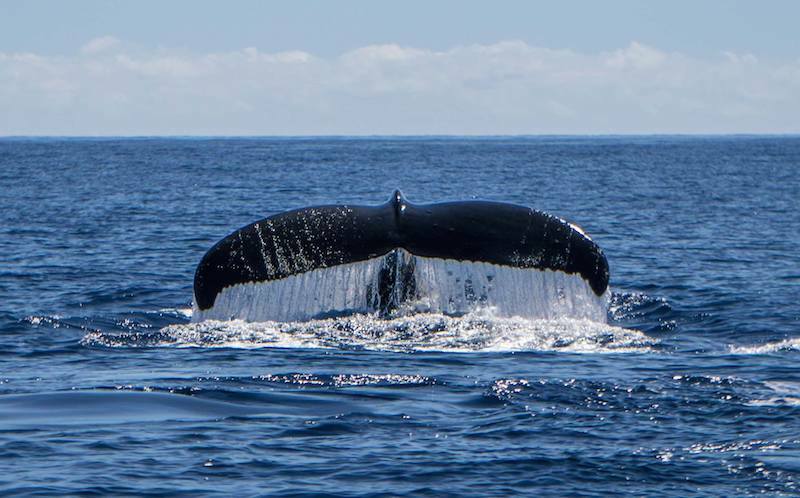 Bazza V. Duck, a friend of My Own Maui Facebook Page, went on a friend’s boat on February 4th, and a few whales came really close! We mean “really close” as you can see on the photo above. All photos on this post are credited to Bazza V. Duck. 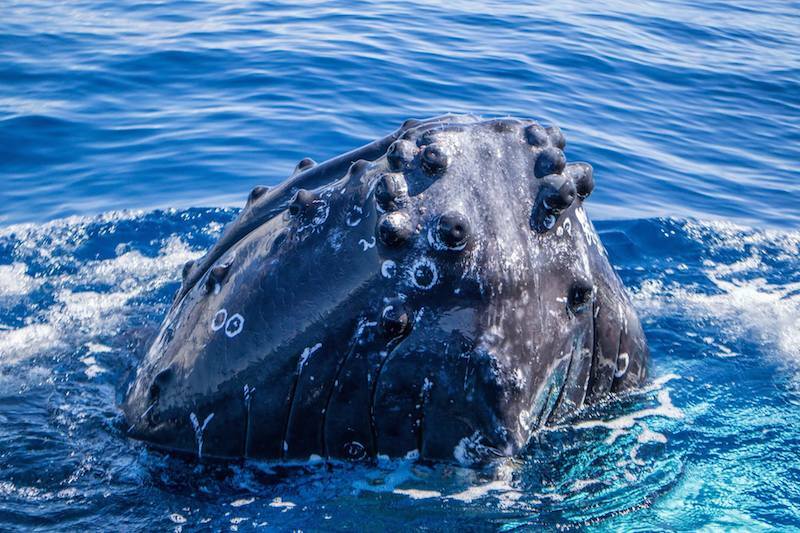 After “saying hello” up close and personal 🙂 , the whales went on it’s merry way playing in the ocean – their huge playground. and of course the beautiful and classic whale tail shot. Aloha! 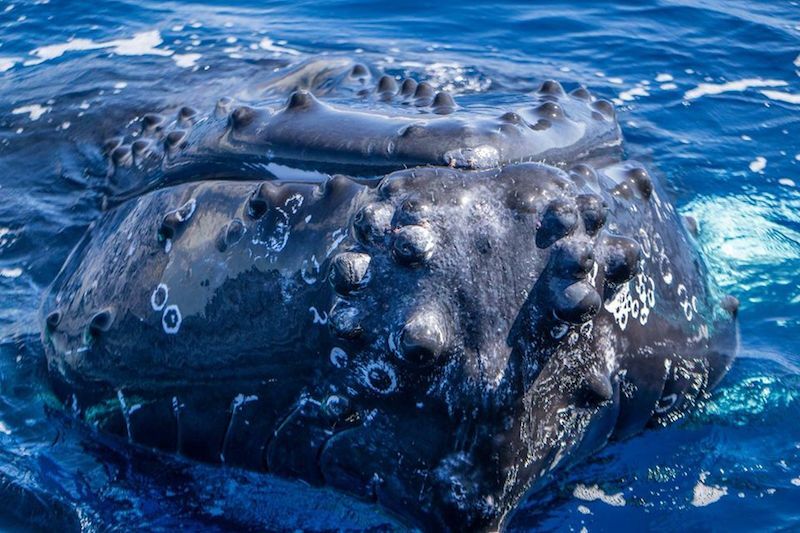 Click here for more information about Humpback Whales on Maui.